The endorsement by a Jewish politician of Fernández de Kirchner’s slanderous accusation that Jewish communal organizations are trying to destabilize her government is a genuine gift for Argentina’s professional anti-Semites. They include individuals like , a Buenos Aires lawyer who has launched a private prosecution against AMIA and DAIA, alleging that both have engaged in treason. Labaké, an advocate of the conspiracy theory that Israel was behind the AMIA bombing, is basing his charges on Fernández de Kirchner’s remarks, which were in turn grounded on the original accusation by Jorge Elbaum, a former director of AMIA and a government loyalist, that AMIA, DAIA and Nisman’s supposed subversion was being financed by the American hedge fund billionaire Paul Singer, who has been locked in a separate legal battle with the Argentine authorities. Just as anti-Zionist Jews provide a protective layer against charges of anti-Semitism directed at the BDS movement, men like Elbaum and Timerman perform much the same service on behalf of Fernández de Kirchner. Indeed, Timerman’s decision to openly turn on AMIA and DAIA brought forth an angry denunciation from Dr. Shimon Samuels, the international director of the Simon Wiesenthal Center. In an email to journalists, Samuels declared: “By this personal act, [Timerman] has rejected his Jewish education values and destiny – among them burial in a Jewish cemetery – and has, apparently, abandoned the Argentine victims of this Tehran-sponsored aggression,” a reference to the evidence uncovered by Nisman that Iran was behind the AMIA atrocity. At the same time, Argentina to compensate victims of 1994 Jewish center bombingPayment is to be made to the 300 injured and to the families of the 85 people killed in the attack, which Israel accuses Iran of ordering and Hezbollah of carrying out. The decision came about after Ruth Tenembaum, the widow of one of the 85 people murdered in the 1994 attack, had pursued the case in court for nearly a decade. Considering Argentina’s record of not default, I wonder how long – if ever – will it take to collect. neither that acknowledgment [of Argentina’s failure to protect the AMIA building from a terrorist attack] nor the compensation will lead to any convictions in either the AMIA bombing or the Alberto Nisman case. Cohen refers us to read Eamonn McDonagh’s posts on the Nisman murder, pointing to Lagomarsino. Now the Jerusalem Post reports that European diplomats say the deal between Secretary of State John Kerry and Iranian Foreign Minister Mohammad Javad Zarif is for Tehran to keep about 6,500 centrifuges in return for “guaranteeing regional stability” — using Iranian influence to keep Afghanistan, Iraq and Syria in check. International sanctions that Obama claims have forced Iran to the negotiating table would be lifted. Suddenly, the lead investigator of a terrorist attack involving Iran (possibly was the foremost expert on Iranian operations in Latin America) turns up dead . . . the day before he was scheduled to testify to his country’s Congress on his allegations that the country’s president had colluded with Iran to interfere with the investigation. that he had evidence tying Iranian President Hassan Rouhani to the 1994 bombing of a Jewish community center in Buenos Aires. The Washington Free Beacon first reported that Rouhani was part of the secretive Iranian government committee that approved the AMIA bombing, according to witness testimony included in a 500-page indictment written by the late Argentine prosecutor Alberto Nisman, who was appointed to investigate the attack. Alberto Nisman, the prosecutor whose mysterious death has gripped Argentina, had drafted a request for the arrest of President Cristina Fernández de Kirchner, accusing her of trying to shield Iranian officials from responsibility in the 1994 bombing of a Jewish center here, the lead investigator into his death said Tuesday. The 26-page document, which was found in the garbage at Mr. Nisman’s apartment, also sought the arrest of Héctor Timerman, Argentina’s foreign minister. Both Mrs. Kirchner and Mr. Timerman have repeatedly denied Mr. Nisman’s accusation that they tried to reach a secret deal with Iran to lift international arrest warrants for Iranian officials wanted in connection with the bombing. Normally, a prosecutor in Argentina seeks an arrest out of concern that the people charged with crimes will try to corrupt the investigation or flee the country, according to Susana Ciruzzi, a professor of criminal law at the University of Buenos Aires who knew Mr. Nisman. But in this case, some legal experts suspect that Mr. Nisman decided against requesting the arrest of Mrs. Kirchner because such a move would have been viewed as a political attack on the president in a case that has already polarized the nation. Moreover, Mrs. Kirchner and Mr. Timerman have immunity as members of the executive branch. They could have been arrested only if a judge handling the case were to authorize a political trial similar to an impeachment process and ask Congress to lift their immunity, Ms. Ciruzzi said. For both leaders to be stripped of their immunity would have required a two-thirds majority vote in both houses of Argentina’s legislature. The date is important because, after Nisman’s death, Fernández de Kirchner claimed that the Special Prosecutor had decided to request her arrest only recently, while he was on a visit to Europe. The president implied strongly that unnamed foreign powers were manipulating Nisman, who spent more than a decade in charge of the investigation into the 1994 bombing of the AMIA Jewish center in Buenos Aires. Venezuela’s then-ambassador to Argentina, Roger Capella, had in 2006 contributed to the cover-up of the 1994 AMIA terrorist attack. 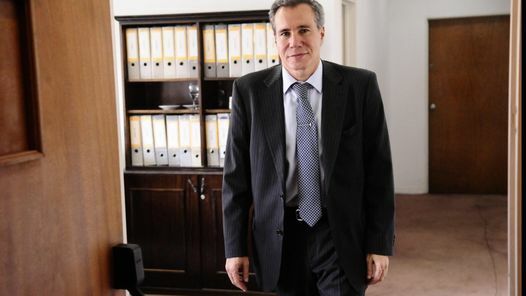 According to Nisman’s evidence, the Venezuelan diplomat helped foment protests against the arrest of Iranian suspects ordered by the Argentinean judiciary. “The demonstration against the Argentinean court’s ruling was carried out by the Iranian embassy, headed by Luis D’Elía — supported by Iran’s middleman in Argentina, Jorge Alejandro “Yussuf” Khalil — and promoted by then-Venezuelan ambassador to Buenos Aires, Roger Capella,” Nisman wrote. the prosecutor in charge of the investigation into how he died, has radically revised her assessment of how he died, claiming that the deadly bullet entered not through his temple, as originally stated, but two centimeters – around three-quarters of an inch – behind his ear. If Fein’s latest conclusion is borne out by the facts, it will further weaker the assertion that Nisman’s death was a suicide, since the the bullet’s point of entry strongly suggests that the trigger was pulled by someone else. Yesterday she announced that she would be taking a vacation between February 18 and March 5. Nasrallah, for his part, in his speech on January 30, the day of remembrance for the fallen in the Kuneitra operation, asserted that all of the existing rules of the game with Israel before the Kuneitra operation were no longer in existence. In mentioning the assassination of the second leader of Hizbullah, Abbas Musawi, he alluded to the price Israel paid with the 1992 bombing attack on the Israeli embassy in Argentina carried out with Iranian assistance, implying that this would be a model for the response. Ideals, persuasion, feelings, and intent are now the stuff of foreign policy, not archaic and polarizing rules of deterrence, balance of power, military readiness, and alliances. The deals with Iran roll right along. Did the Argentine Government Kill Alberto Nisman?